Recap: Despite a tough loss in the last few seconds to a talented Berkshire team, Porter’s came out ready to play from the first whistle. Leading the team was Callie Godfrey ’20 with 13 points, 13 rebounds, 5 assist, 1 steal, and 1 block. Also, in double digits was senior Sarah Zukowksi with 10 points, 3 rebounds, 3 assist and 1 block. Recap: Porter’s hosted Class A and Founders League opponent, Choate, Wednesday afternoon. After coming off 2 tough games already Porter’s knew they were up against another talented team. Choate came out ready to play and shot 41% from the field. Porter’s continued to battle throughout the game was unable to catch Choate. Leading the team was Ana Bartkiewicz ’20 with 13 points, 5 rebounds, 1 assist, and 3 steals. Callie Godfrey ’20 had 12 points, Delaney Nwachukwu ’20 had 8 points, Sarah Zukowski ’19 had 2 points and McKenzie Roller ’20 had 1 point. The team continued to struggle only shooting 37% from the field but pulled down 29 rebounds, had 11 steals, 5 assist, and 3 blocks. Recap: Porter's varsity team headed to Ski Sundown on January 23 for their third race of the year. Porter's placed fifth against Taft boys and girls, Loomis boys and girls, Ethel Walker, and Forman, and sophomore Mojo Plants ('21) took a strong 6th overall, and 3rd among all girls! 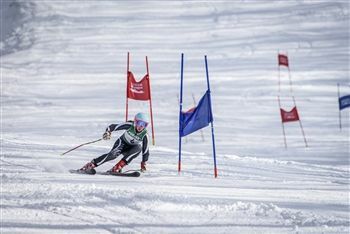 Varsity skier Cricket Barnes '19 took a top 10 place on her first run, with a tougher time on her second run. Helen LaPointe '22 also put in a strong race, placing 19th overall. Gracie Childs '19, Merritt Hall '19, Pia Davis '21, Evelyn Usich '20, and Tibby Pepper '22 rounded out the varsity squad. Recap: Despite a 2 point lead at the half, Porter's was unable to stay on top and fell to Walkers 53-59. Leading the team was Delaney Nwachukwu '20 with 19 points, 7 rebounds, 1 steal, and 1 block. Also contributing was Callie Godfrey '20 (12 points, 17 rebounds, 1 assist, 3 steals), Kyla Gallagher '20 (10 points, 3 rebounds, 3 assist, 1 steal), Ana Bartkiewicz '20 (9 points, 8 rebounds, 5 assist), Sarah Zukowski '19 (2 points, 4 rebounds, 3 assist), D'vine Straughter '21 (1 point), Lila Conners (6 rebounds) and McKenzie Roller '20 (1 assist).